Van Halen seem to have postponed 30 of their North American tour dates scheduled from early July till late September. Pollstar reports (via Blabbermouth) that United Concerts, the promoter for the band’s Salt Lake City gig September 4, has released a statement announcing that it has been “temporarily postponed,” and that ticketholders should wait for further instruction before burning the city down in a rage deciding to sell or throw them away. The SLC date and 29 others have since been quietly scrubbed from the band’s website, but so far neither Van Halen nor their people have officially come out and confirmed the pause. 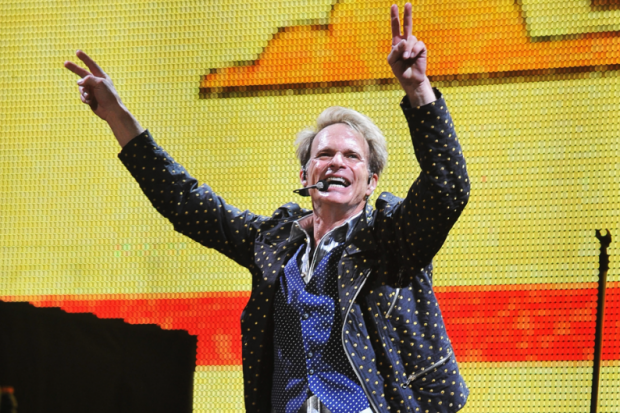 The postponements follow reports and videos yesterday of Van Halen frontman David Lee Roth snapping at a fan at the band’s Winnipeg show for tossing what looked like an empty water bottle onstage while the band was covering Roy Orbison’s “Pretty Woman.” That cover has also pissed people off before — a fight broke out at a New Hampshire performance, and Diamond Dave chewed out the brawling fans then, too. Van Halen have an even longer history of scrapping with each other, of course (remember, for a brief period of time, Gary Cherone fronted this band). Unsurprisingly, Rolling Stone reports that the band has, indeed, been “arguing like mad” of late. Fans in the cities where dates have been postponed (as well as those just looking for a laugh) should check out SPIN editor Steve Kandell’s ridiculous review of that ridiculous Van Halen show at Cafe Wha? tied to their new album in January.